Do you intend to spend more time outdoors, but then decide you¿re too busy/unmotivated/unfit for an epic adventure? 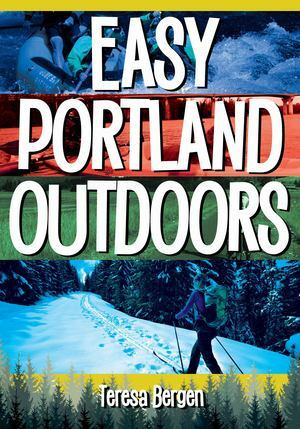 Easy Portland Outdoors includes adventures that are accessible to almost anybody. Want to know which public gardens you can visit with your dog? Where you can kayak with your kids? Which of Portland¿s outdoor pools are wheelchair accessible? It¿s all in here. Adventures range from trying golf for the first time to learning to operate a Segway, from taking a ghostly walking tour to careening down the Willamette River in a jet boat. Most of these adventures can be accomplished in a day. A few are more epic in scope but still easy. Portland is a haven for nature lovers ¿ 17.8 percent of the city is parkland, it¿s bisected by a major river, and both mountains and beaches are less than two hours away. Whether you¿re a visitor or a local, don¿t miss out on all the easy outdoor fun.